Wall size frame. Elaborate design is delicately laser cut from wood. 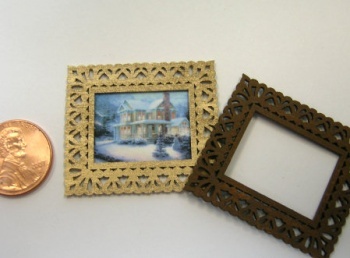 Frame measures 1 1/4" h x 1 1/2" w.
Included in the kit are all laser cut wooden pieces,and complete instructions. You can paint or stain this piece as shown here.